"My love for space is about how much it can do for people back here on Earth." 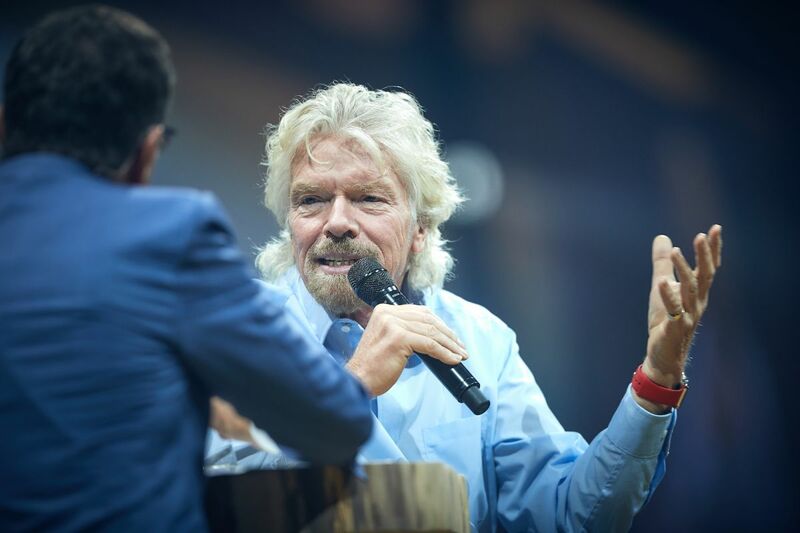 Last week, veteran entrepreneur Sir Richard Branson was among the guest speakers at the 2017 Nordic Business Forum (NBF) held in Helsinki, Finland. On stage, Branson spoke about how he started his record label some 50 years ago, and went on to explain how he ended up opening his own airline company, Virgin Atlantic. Since then, Branson has been in the business of flight and he hopes to bring his passengers to space soon. For some time now, Branson’s Virgin Galactic has been testing the capabilities of their ship, the VSS Unity, a commercial suborbital spaceplane developed in tandem with The Spaceship Company. Earlier this year, they tested the ship’s re-entry system after successfully completing a couple of solo-glide flights in 2016. Branson said back in May that he was confident the company would be able to send their first batch of tourists into space by 2018 — a goal he reiterated during his talk. “We are hopefully about three months before we are in space, maybe six months before I’m in space,” he said, according to Business Insider. Branson, however, added that he wants to do more than just send people into space for sightseeing. He’s looking at using Virgin Galactic’s spacecrafts for point to point travel at roughly 483 k/h (300 mph), an idea that seems similar to Musk’s BFR Earth-to-Earth travel. “That is something we are going to be in the best position in the world to do,” Branson said.